A CHP cruiser. Photo by John Schreiber. One person was killed and seven others were hurt in a multi-vehicle crash in Moreno Valley, authorities said Monday. 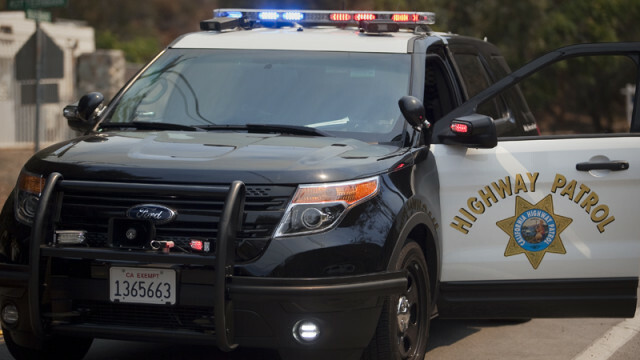 The crash was about 7:15 p.m. Sunday at the intersection of Gilman Springs Road and Alessandro Boulevard, the California Highway Patrol and Cal Fire Riverside reported. Three vehicles were involved in the crash and one person died at the scene, authorities said. The name of the deceased was withheld pending family notification. Two patients were transported to hospitals with serious injuries and one was hospitalized with moderate injuries, firefighters said. Four patients refused further treatment after they were evaluated by paramedics. The crash resulted in the closure of the Gilman Springs offramp on the eastbound Moreno Valley (60) Freeway, the CHP said. It was reopened at 11:17 p.m.